Ander foster meaningful relationships between individuals and organizations. Our personalized experiences engage users in new ways, focusing on their shared desires, interests, and ambitions. Ander orchestrates work, health, and lifestyle. 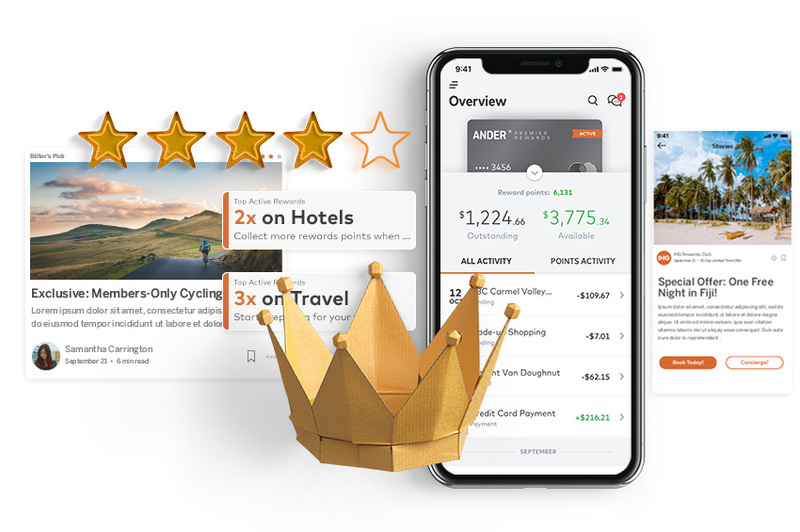 Our unique economy of rewards and incentives makes using the platform fun and engaging. We leverage artificial intelligence to create personalized journeys for individuals—building loyalty with the companies and brands that help them accomplish their goals. Work: Reimagine the employee experience. Ander engages employees to build stronger teams, develop skills, enhance total wellbeing, and cultivate a more dynamic and unified company culture. Health: Advocating for patients and improving outcomes. Ander ensures each health network member receives swift responses and continuity of service. We make it easier for physicians to spend more time with patients and focus on total population health. Lifestyle: Curating meaningful consumer relationships. Ander delivers personalized and valuable experiences for consumers. We advocate for them at every touch point, offering digital banking solutions, direct deposit, budgeting tools, customized rewards, and more. Ander uses a combination of data, artificial intelligence, audience insight, and company input to align our platform to stakeholder values. Our design maximizes flexibility and control for our partners and delivers deep personalization for individuals. Each aspect of the Ander experience is a discrete module and can be set up as a primary offering or future value add. Ander can be delivered directly through our platform, app, and wearables. Ander can also be a set of microservices seamlessly integrated into any branded app via API. Ander helps organizations understand the motivations and goals of their customers, members, and employees. In our rapidly changing world, companies can no longer be content with purely transactional relationships. Users now expect a more valuable experience. of consumers are willing to share personal data if a company is transparent about how it uses the data or if they can control how the data is being used. of employees are not engaged in their work, costing organizations $500B annually. Intuitive, fun, and easy to use. Ander draws from the best in engagement design, guiding individuals on intent-driven, captivating, and outcome-oriented journeys. We help them experience the authentic interactions they desire. Our platform is also intuitive to manage. We own the onboarding process, guiding your team through every step of the launch so you’re up and running in no time. Ander fosters authentic connections and vibrant communities. We’re focused on serving individuals, understanding their motivations and intents so that we can advocate for them more effectively. We get to know your people so that we can bring them together in ways that matter. We connect individuals around shared interests and work, forming groups that inherently encourage each other toward greater involvement. 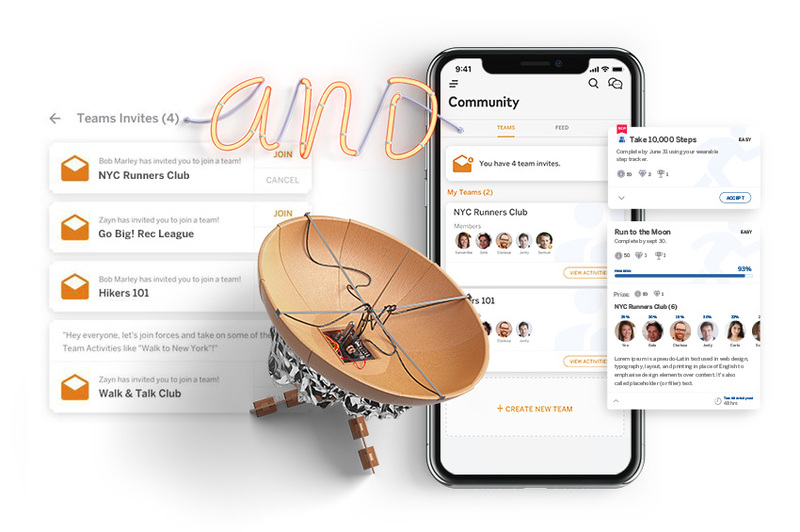 Our Community Management team personally connects and engages individuals across the Ander experience, social media, the web, and real-world interactions. They make certain each touch point is meaningful. Our team of concierges draw on their expertise to answer questions and curate desirable experiences for loyalty members. They exemplify Ander’s personalized touch. Ready to launch! Let’s explore the new frontier. The journey is unique for every individual and company. But the destination is always the same: empowered individuals and prosperous organizations.